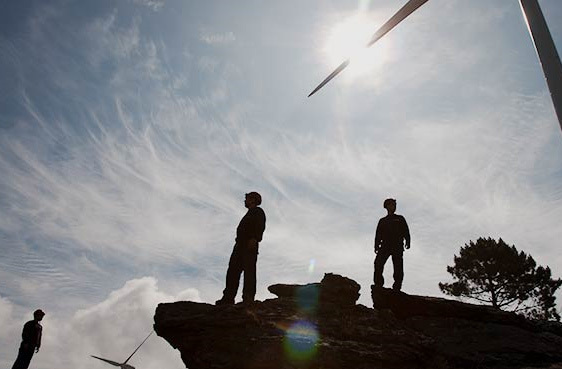 Vestas is the only global energy company dedicated exclusively to wind energy - improving business case certainty and reducing the cost of energy for our customers. 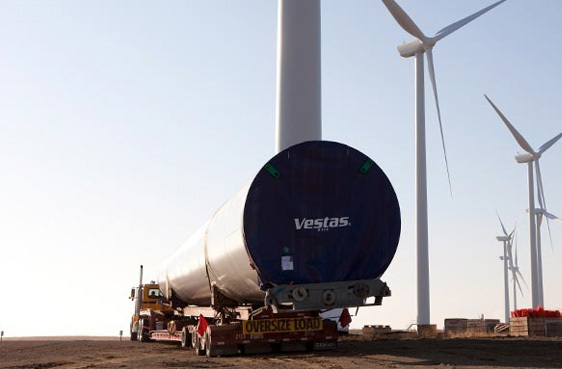 Vestas works in close partnership with customers to offer the most effective solutions towards energy independence. Our core business is the development, manufacturing, sale and maintenance of wind power plants – with competencies that cover every aspect of the value chain from site studies to service and maintenance. Our 3 MW platform is designed for a broad range of wind and site conditions and for exceptional energy capture. The 3 MW platform combines Vestas’ proven track record with our continuous efforts to improve and optimise our products, making it the obvious choice for customers looking to combine reliability with performance. 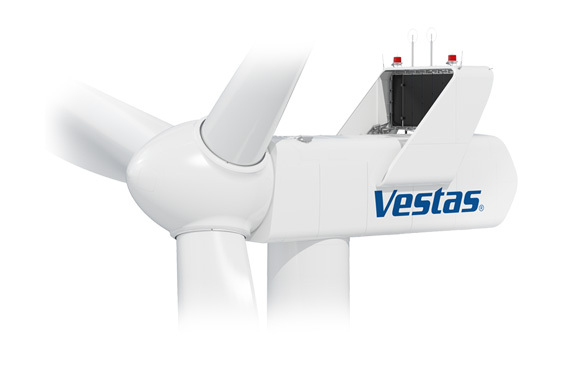 V136-3.45 MW™ combines Vestas' most advanced aerofoil design to date with the proven 3 MW nacelle and Large Diameter Steel Tower (LDST) technology, to deliver high and efficient energy production in low wind conditions. The aerofoil design, applied to the 66.7m long blades, enables a 12 percent* increase in annual energy production while at the same time minimising structural loads. Advanced aerodynamics, particularly at the blade tips, decrease the max noise emission level relative to current designs. 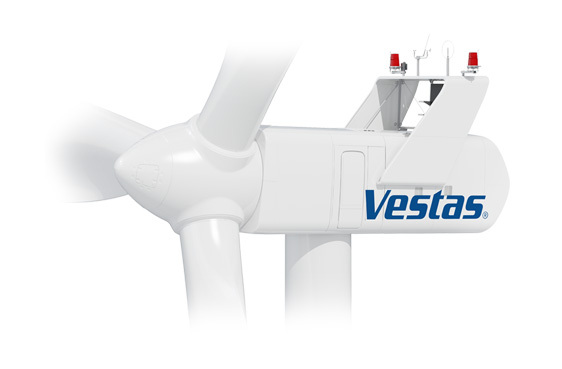 Vestas has 15 years of experience optimising carbon blade application, and the V136-3.45 MW™ benefits from advanced use of carbon pultrusions, resulting in light-weight, highly robust blades with optimal performance. The industry leading lightning protection system and highly accelerated lifetime testing ensure high product reliability. Built on the same proven technology as the V112-3.0 MW®, the V126-3.45 MW™ IEC IIA/IEC IIB operates on medium-wind sites. Equipped with the industry known structural shell blades, the blades of the V126-3.45 MW™ turbine do not weigh more than those of the V112-3.0 MW®. The 126 m rotor enables greater wind capture, which in turn produces more energy at a reduced cost. The result is exceptional profitability in areas with low wind, and new frontiers for wind energy investment. 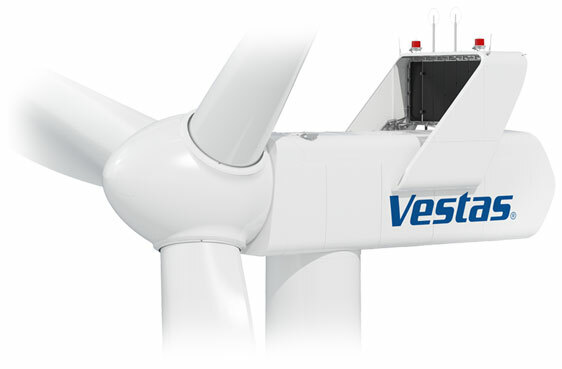 On high wind-sites the V105-3.45 MW™, V112-3.45 MW™ and V117-3.45 MW™ are excellent turbine choices. A combination of the three variants can optimise your site layout and improve your production significantly. Due to the similar electrical properties, sound emissions and nacelle design, it is easy to mix and match the turbines from the 3 MW platform to maximise production on heavily constrained sites. 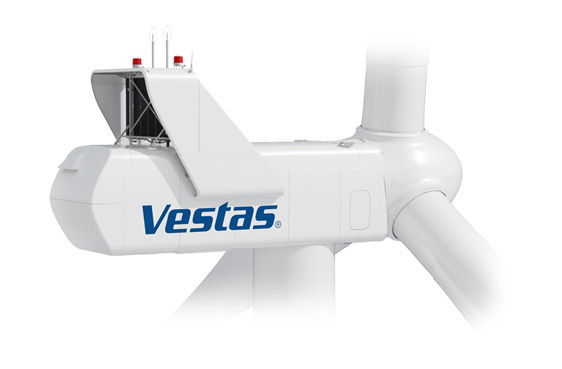 The V112-3.45 MW™ IEC IA is a high-wind turbine and has a very high capacity factor. Similar to the other 3 MW turbines, the V112-3.45 MW™ IEC IA turbine makes efficient use of its grid compatibility and is an optimal choice for sites with MW constraints. 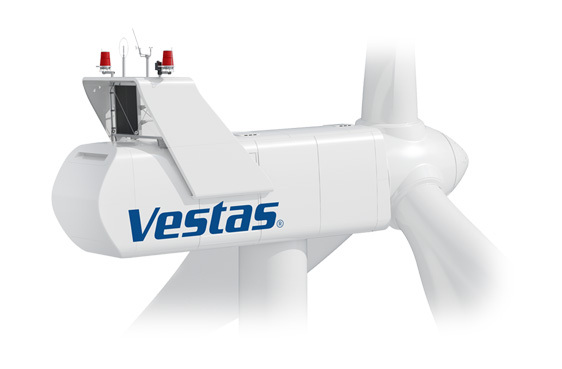 With a rotor size of 105 m, the V105-3.45 MW™ IEC IA is the turbine that fits the most severe wind conditions. It has an extremely robust design for tough site conditions and is especially suited for markets with tip-height restrictions and high grid requirements. The V105-3.45 MW™ blade is a shortened version of the proven and tested pre-preg blade used on the V112-3.0 MW®, the V112-3.45 MW™ and the V117-3.45 MW™. 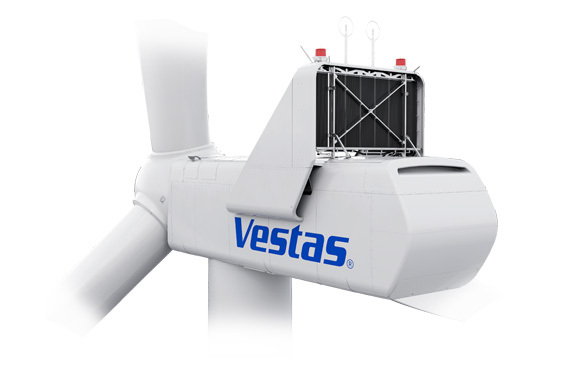 Like all 3 MW turbines, the V105-3.45 MW™ is equipped with a full-scale converter ensuring full compliance with the challenging grid codes in countries like the UK and Ireland. The V90-3.0 MW® is designed to be low weight ensuring easy transportation and installation while reducing foundation costs thanks to its lower load. The nacelle is lighter because its gearbox has an integrated main bearing that eliminates the need for a traditional main shaft. Blade weight is also kept to a minimum by using carbon together with glass fibre. The tower is lighter, too, as it uses magnets instead of welding to attach the tower internals to the tower wall. This turbine delivers exceptional performance and a high yield, and can be supplied in a variety of hub heights (65-105 m) to accommodate site-specific needs. The tower for offshore is designed site-specific and is furthermore protected with a special offshore coating to withstand the harsh environment. The V110-2.0 MW™ IEC IIIA is an extremely reliable turbine, which is documented through its strong availability and performance. This turbine allows you to increase productivity by opening up low-wind sites which were previously regarded as non-viable. To maximise power output at such locations, the turbines' 110 m rotor gains more from the available wind – starting at an incredibly low 3 m/s. With its 54 m blades, the V110-2.0 MW™ IEC IIIA delivers a notable rotor-to-generator ratio producing a remarkable capacity and yield at low- and medium-wind sites. The V100-2.0 MW™ IEC IIB turbine allows you to increase productivity by opening up low- and medium-wind sites which were previously regarded as non-viable. To maximise power output at such locations, the turbines' 100 m rotor gains more from the available wind – starting at an incredibly low 3 m/s. Thanks to the 49 m blades, the turbines deliver a notable rotor-to-generator ratio producing a remarkable capacity and yield at low- and medium-wind sites. The V100-1.8/2.0 MW™ IEC S/IEC IIIA turbines allow you to increase productivity by opening up low- and medium-wind sites which were previously regarded as non-viable. To maximise power output at such locations, the turbines' 100 m rotor gains more from the available wind – starting at an incredibly low 3 m/s. Thanks to the 49 m blades, the turbines deliver a notable rotor-to-generator ratio producing a remarkable capacity and yield at low- and medium-wind sites. The V90-1.8/2.0 MW® IEC IIA/IIIA turbines build on proven technology over several generations ensuring great reliability, serviceability and availability. The high level of availability of the V90-1.8/2.0 MW® IEC IIA/IIIA allows you to forecast confidently and strengthens the business case for investment, while their design and performance ensure that you can produce energy from low- to medium-wind sites at a low cost. 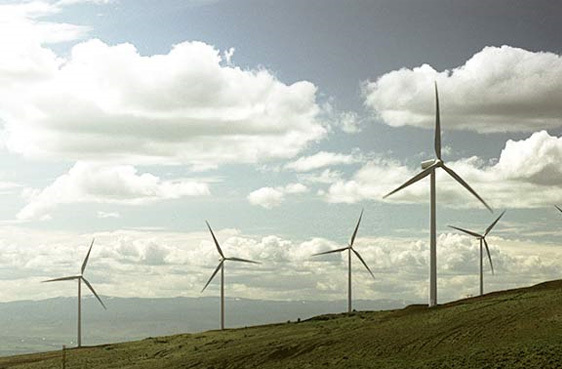 Our job really begins once your wind power plant is installed and in operation. Our philosophy is that making the most of your plant is about more than just engineering and logistics. It’s about working together – creating solutions that revolve around your specific needs and your expectations. That’s why we offer our unique AOM programme, based on three decades of industry experience. 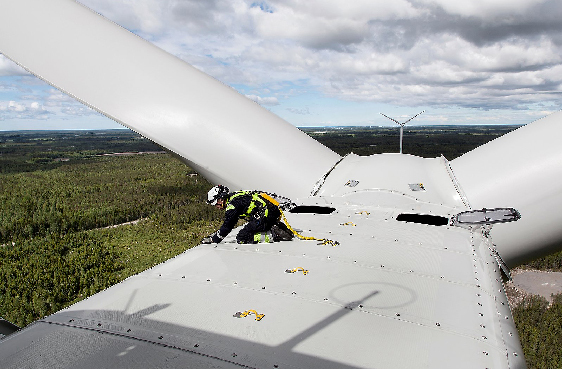 With Vestas AOM you are supported by a proven service partner –working in collaboration with you to identify, allocate, and properly manage risks, and ensure peak performance from your plant. Vestas is committed to the smooth running of your business - ensuring that you benefit from industry-leading performance, research, innovation, expert technical teams, and a global supply chain that is reliable, efficient and cost-effective. All of this is done with one aim in mind: to offer you predictability, and to strengthen the certainty of your business case. 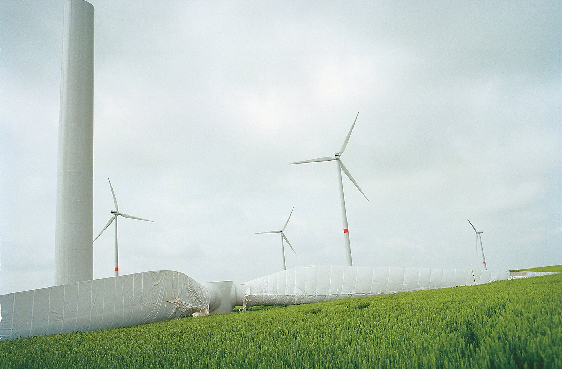 Having installed more than 55,000 wind turbines throughout the world, we have remarkable expertise in these areas. We work closely with our customers during the planning phase to capitalise on this knowledge and build successful projects. To gain the most out of your investment in wind, it is important to continuously optimise your wind power plant throughout its lifetime. With Vestas' substantial knowledge of optimising wind power plants we can support you with innovative software and solutions which can help increase the production and profitability of your wind power plant. We take pride in improving the reliability and performance of the turbines operating around the globe. As our dedicated service organisation is always close at hand, you can quickly reap the benefits of the upgrades. Releasing the full potential of your wind business requires a knowledge-driven partner, who is fully committed to optimise your fleet performance through collaboration, innovation and simplicity in delivering service solutions. We are eager to establish partnerships and to strengthen the dialogue between us. We welcome your request for more transparency and flexibility and are proactively sharing our insights with you. Blades are not only the largest components on your turbine - they are also the most expensive and vulnerable components. Being exposed to varying weather conditions and heavy loads, the blades are consistently put under pressure. Yet, they are vital to the performance of your turbines. 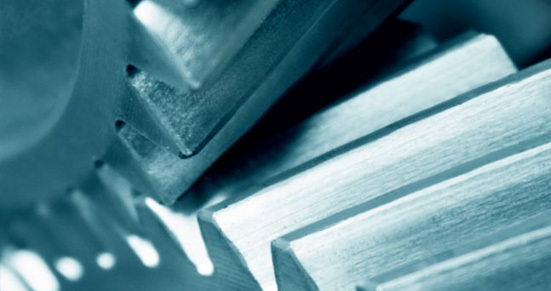 This means that in order to get the most out of your investment, you need to take good care of your blades. To simplify how our services can contribute to your O&M strategy, Vestas introduces BladeCareTM - a comprehensive range of services to help you keep your blades in optimal condition. Our life-cycle approach to blade care includes inexpensive and quick blade inspections to identify and assess damage. 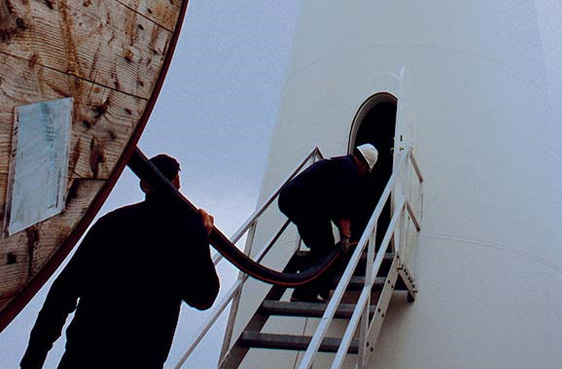 In addtiion, we offer industry-leading repair solutions and upgrades to maintain and optimise your turbines’ performance throughout their lifetime. Generator failures can be costly, affecting turbine service time and site performance, leading to a poorer return on investment. This is why we have developed GeneratorCare™ – our comprehensive service programme which enables you to have generators repaired, updated and exchanged as soon as defects are detected or through proactive inspections carried out by experienced service technicians with the aid of wind turbine performance data. 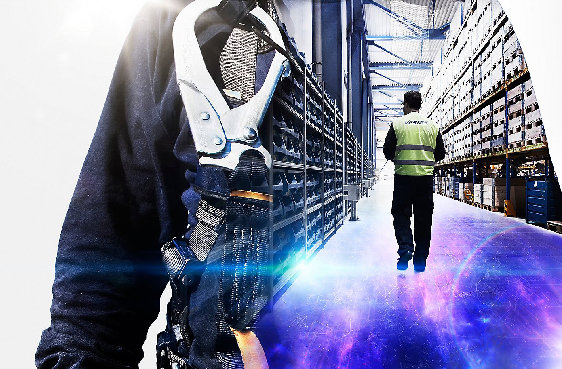 We boast cutting-edge R&D and excellent engineering personnel, delivering unique, innovative and lifecycle-tested solutions. Our years of experience, quality assurance and high levels of staff training mean you will have your turbines back in service in the shortest time possible. GeneratorCare™ solutions are part of our AOM offering, and also offered on a transactional basis, offering the flexibility level you desire. Gearboxes are at the heart of your turbines, and defects can lead to unnecessary downtime of your power plant and increased costs. To meet this challenge, Vestas Services introduces GearboxCare™ – our preventive, predictive and repair service programme, specifically dedicated to gearbox maintenance, repairs, updates and exchanges.